RPM Body Savers for the E-Revo 2.0 are a simple, yet clever solution to solve cracking problems around the body mount holes in the body. RPM has disguised these Body Savers in two separate ways. Out front, they look like molded hood vents while in the rear, they look like exposed sections of a roll cage. It’s a perfect way to camouflage their intended purpose and yet still keep the body firmly attached. The way they work is straightforward; there are two pairs of screws holding the sub-frame of the body mounting system to the body in both the front and rear of the truck. These Body Savers tie two pairs of screws together, dispersing the pressure of holding the body to the sub-frame over a wide area of the body (wider than currently available washers too). Even if the bottom of the mounting holes in the body are completely ripped out from prior crashes, our system still works! 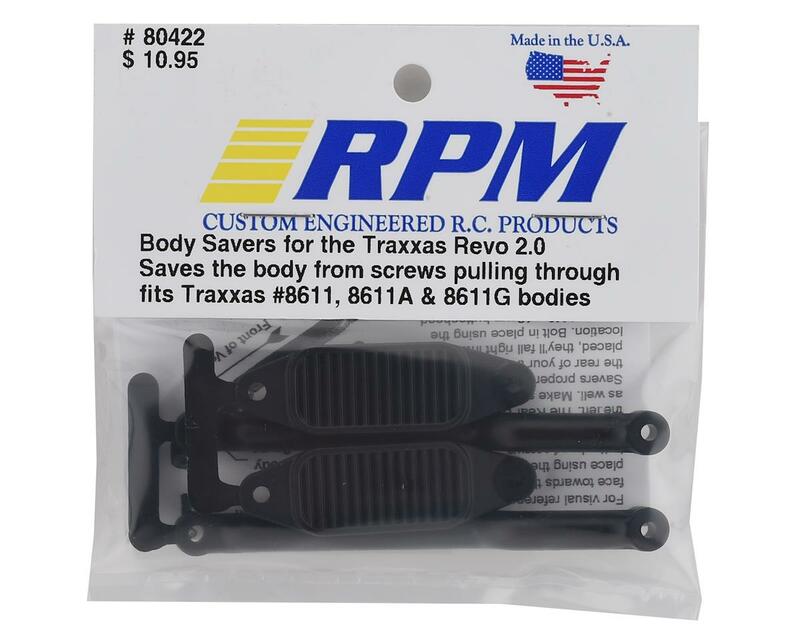 Tech Notes: RPM Body Savers only work with Traxxas TRA8611, TRA8611A & TRA8611G bodies. 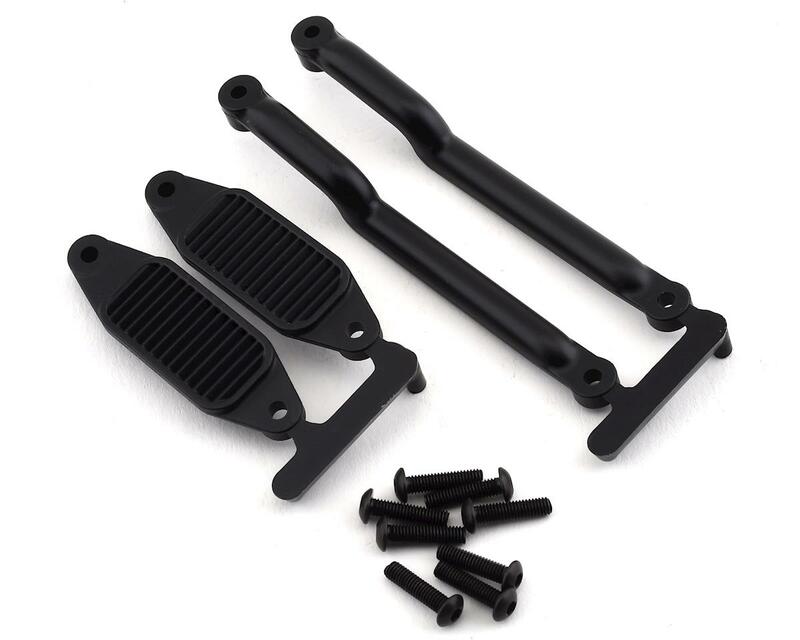 They have not been tested nor are they guaranteed to work with any other Traxxas or aftermarket bodies.